"You cannot pass! I am a servant of the Secret Fire, wielder of the Flame of Anor. 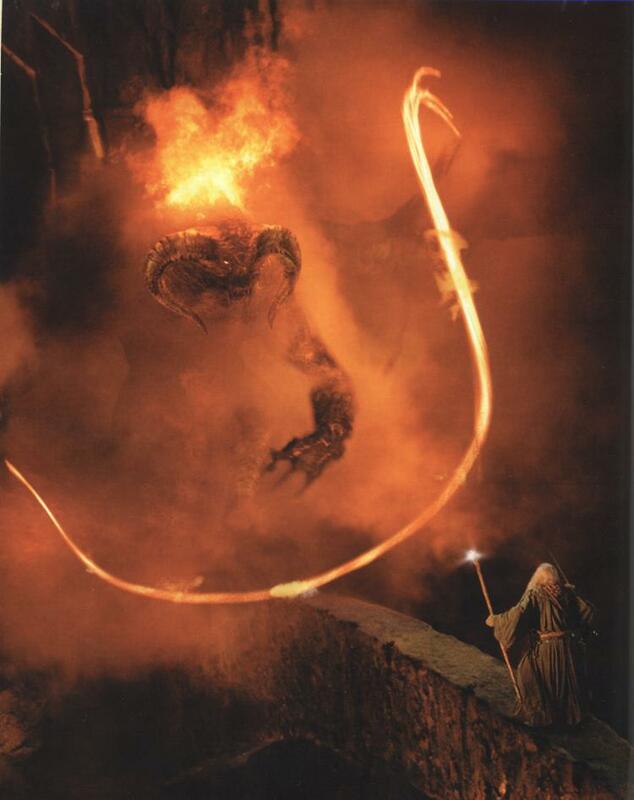 The dark fire will not avail you, Flame of Udun! Go back to the shadow. You shall not pass!" Even the most heroic expedition and the most noble treatise has moments of hushed, chilling dusk whence enters the antagonist who, with darkest of intent, seeks to besmirch the protagonist through crafty reasoning, deceptive ambitions, and malicious vigor. So it should come as no surprise that my journey to becoming one of the dangerous, radical free also encountered this distorted version of my identity who, when at my worst, seeks to destroy not only my life but those around me. At first, I avoided the undertaking. For I know best of all what lurked beneath the surface. I dreaded revealing the caged beast that sought to destroy me and hoped to postpone the weight of guilt that I knew would ensue upon turning to see the Thing that chases me and hunts me and pursues me with sleepless strength. I paced the cabin. I distracted myself. My Shadow mission is to believe that I am a timid and frightened little boy who is destined for failure, that is "less than", and who will never have true impact, meaning, mission, or influence. My Shadow mission is to believe that I am incapable and do not have what it takes. My Shadow mission is to allow self-deprecating behavior lessen me to become ineffective, self-preserving, and self-medicating. My Shadow mission is to become a slave to counterfeit intimacy and depraved masculinity. My Shadow mission is to believe that the approval of others determines my worth and value. My Shadow mission is full of shame and strives to punish me through self-doubt and depression thus forfeiting true community, authenticity, and transparency while making me a raging narcissist, full of bitterness and anger. My Shadow mission tells me that I am a poser, fake and flaw that no one will ever respect. You see, my Shadow's mission is the opposite of my identity as FireWolf. One very symbolic narrative that intrigues me about true identity and shadow is that of Peter Pan, the boy who never wanted to grow up. Early on in the fable, Peter Pan chases his shadow across London and arrives at the room of three sleeping children. I'm sure you know the story well. Introductions are made. The shadow is apprehended. But what is fascinating to me is what happens next. Peter insists on having his shadow reattached to his person so that it will never escape him again. I wonder... how long have I wished that my Shadow would depart from me and never return? The parts of my identity that have been forfeited to the Shadow are not worth losing and therefore, I must keep my Shadow so as to recover my whole self from the broker that lies crafty whispers and murmurs of ill intent. When my identity retreats to Shadow, I must with all honor and humility fight and engage my Shadow with compassionate curiosity to bring that portion of my identity hiding in Shadow into the Light of community so as to break the power of shame which holds it captive allowing the Shadow Broker to slowly squelch and quench the Glory and Strength of God in me. This was the hardest part of my journey at Braveheart but wise words from a trusted sage breathed fresh life into this area of my story when he said, "Where you are wounded is where you are strongest and God is redeeming that [portion of who you are]. For 'when you are weak, then you are strong'."